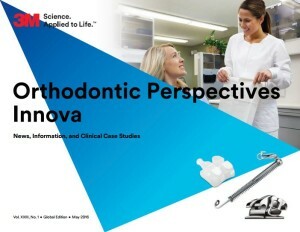 Innova is in its 25th year of continuous publication, providing orthodontic professionals with industry and product news, treatment tips and upcoming educational opportunities. This issue features authors from around the globe, sharing cases which show treatment with esthetic 3M™ Clarity™ Ultra Brackets, 3M™ Clarity™ Advanced Ceramic Brackets, 3M™ Clarity™ Aligners, 3M™ Incognito™ Appliance System, and 3M™ SmartClip™ SL3 Brackets. Browse the articles below or sign up to subscribe to Innova to get a full pdf of the most current issue. Click here to visit Innova November 2018 magazine. It was amazing!!! An excellent experiment and very useful day.